Welcome back to ETP! This week I have decided to start something new for the fashion page of this blog; I will be doing Instagram features of people I believe dress well, but most importantly, dress modestly – Modesty is the Mantra after all! To kick off, I present to you all, Damilola Faniyi (Instagram: @Damiefaniyi). 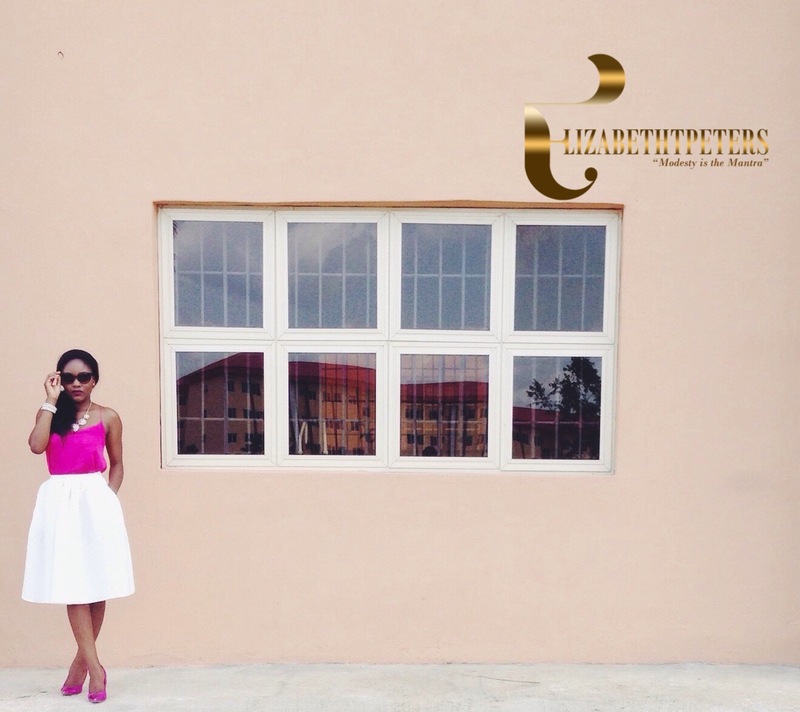 She’s a stylish fresh graduate, a fantastic writer and also the co-founder of AbujaEats! Hi Dami! 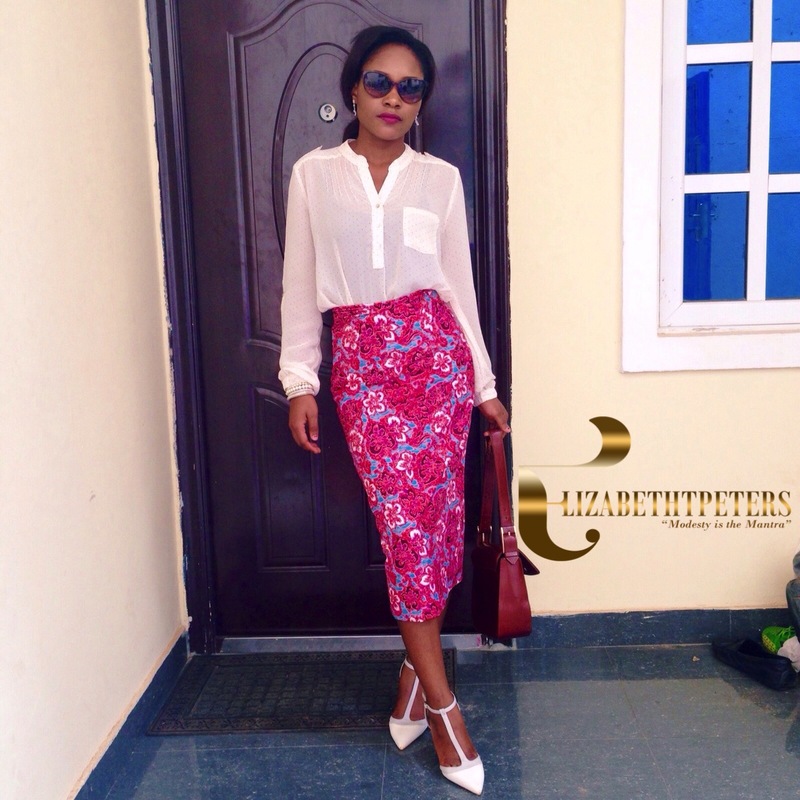 It’s great to have you here at elizabethtpeters.com, your fans say hello! *Laughs* Hey Elizabeth! Thank you so much. So you made this skirt! What was the thought process from when you were making it all the way through to how you styled it? Yes I made it! I’ve always liked the midi silhouette, I just think it’s effortlessly classy and modest too. As soon as I had some sewing skills I made myself this midi skirt. It’s the first thing I made. The sunglasses are River Island. I have no idea where the blouse is from but I bought it from Banex Plaza [in Abuja]. While styling the skirt I wanted to do print on print but not go over the top with it. The blouse has little polka dots which you can see if you zoom in a bit. Also, I was going to church that day, so I had that in mind as well. This dress is gorgeous! Was this tailor made or ready made? This was made by a tailor. The fabric used is called dry lace I was off to a wedding. And the yellow was the asoebi colour. Which tailor made this fantastic creation and how was the design chosen? The tailor’s name is Nasiru and his shop is in Wuse market. I told the tailor what I wanted and I had a photo of someone wearing something similar but I made a few tweaks and he brought it to life! Bracelet and earrings are from a random shop in Wuse market. This was a while ago but such an iconic photo! There was a hashtag in the Instagram post caption; what was that about? Sometime last year I founded the idea of The Shine Your Eye project. The basic reason for this was to encourage people to see the beauty in our environment. At that point in time I had a lot of people around me who wished they lived abroad because “the abroad” is supposedly more beautiful than Nigeria. I don’t completely disagree but Nigeria is beautiful too. The shine Your Eye project was to encourage people to open their eyes to see things in a different way and to know that Each and every place is distinctly beautiful regardless of which continent it may be in. I was going to church. I wore a blazer over it for church and then took the blazer off for this particular photo. My shoes are from a random shop. I really, really love the message behind the Shine Your Eyes Project! That’s what I am always telling people when they ask me why on Earth I came to Nigeria for school haha. Can you describe your style in one sentence? I’d describe my style as classy and feminine. Thank you very very much for your time Dami! 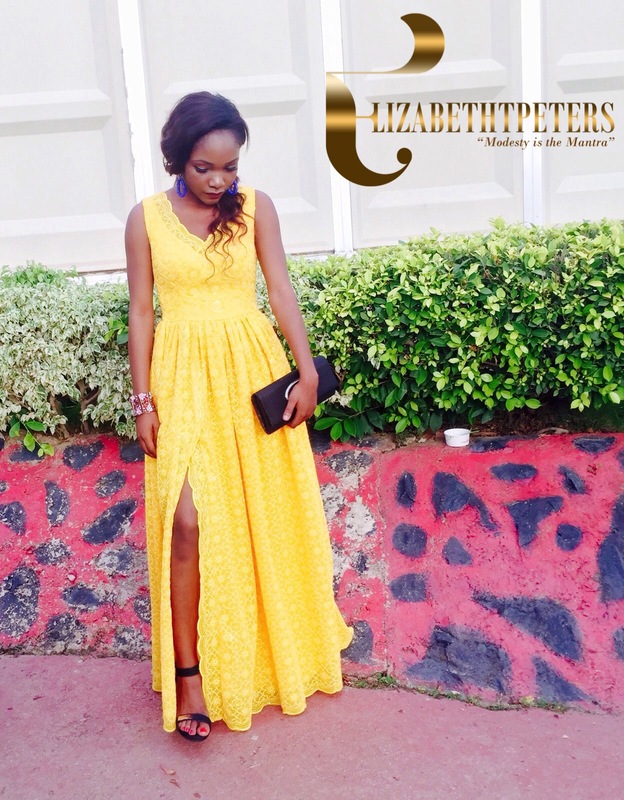 If you know someone, even if the person is yourself, that should be featured here – drop me an email with their Instagram handles – info@elizabethtpeters.com is the mailbox ! Christian - Medical Student - Natural Hair - Poetry - Inspirational Writer. love her style so much! Love this feature – she looks good. ETP Takes: Staycation at Tarkwa Bay!